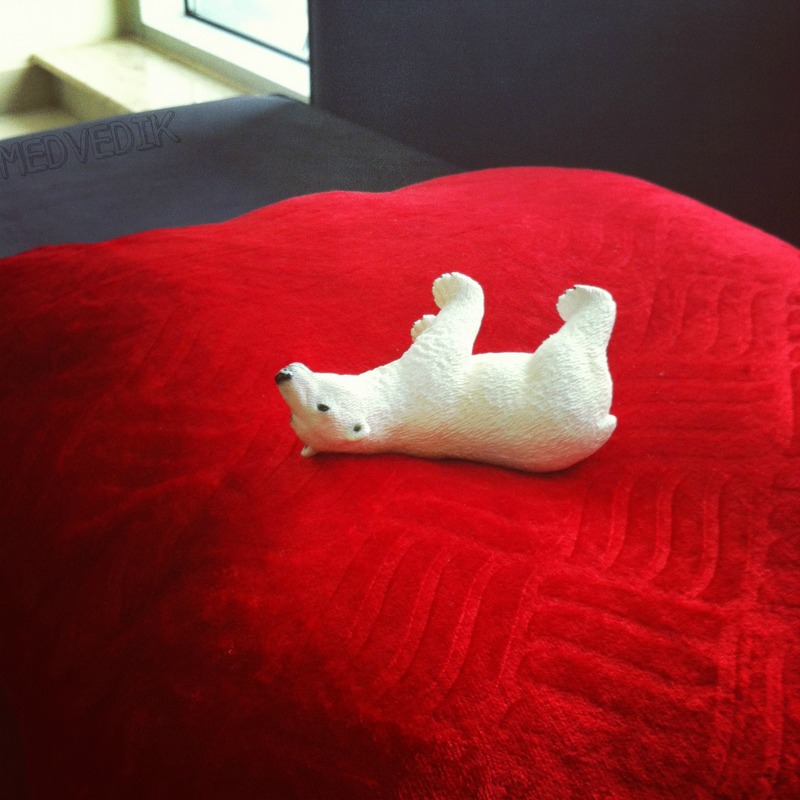 One day Medvedik woke up in his usual beary state of mind. He got up and went to brush his teeth. He looked in the mirror and paused in awe. He noticed that there were three extra rolls of fat on his belly. “No way!” thought Medvedik, “It must have been just dark here and the mirror is not flattering with these lights”. He rushed out of the bathroom to look in the big mirror next to the window. Unfortunately the picture didn’t really change. Medvedik thought that it’s strange, because usually he acquired that extra fat when he was going to survive a cold winter in the North Pole. Why is it here and I am living in Dubai? Perhaps that double burger yesterday night was too much. Medvedik decided to change the situation. He was living in a hot country and he was not a rare visitor of the beach. What if he meets a cute female polar bear on the beach and she is turned down by his rolls of fat? No, I need to change it immediately, thought the brave polar bear. 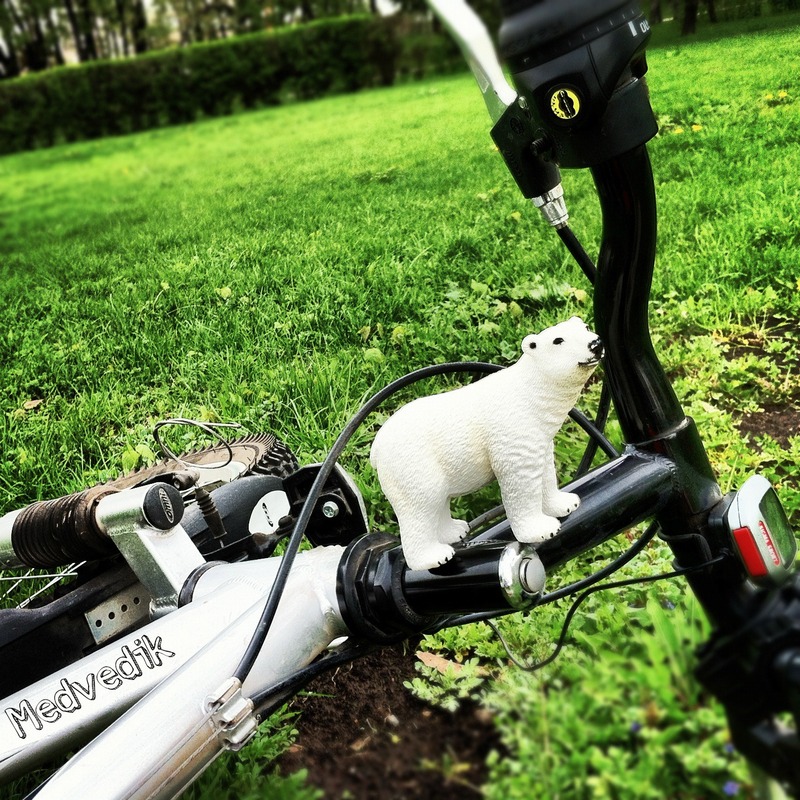 Choosing a fast and ecological way, Medvedik rode his bicycle to the park, which was 7 kms from his apartment. After 3 kilometres he understood that he needed a rest. He parked on the lawn and, breathing deeply, started doing light workout to burn more calories. He noticed a small fruit market not far away and went to buy some fruits for his small lunch that contained no burgers or salmon this time. He jumped on the bicycle again and continued his way on the road, filled with cars and trucks. The air was thick and heavy, traffic moved slowly, but Medvedik made his way through with a decent speed. He was all sweaty when he made it to the park. He made couple of circles around and decided that it was a good time for his lunch. 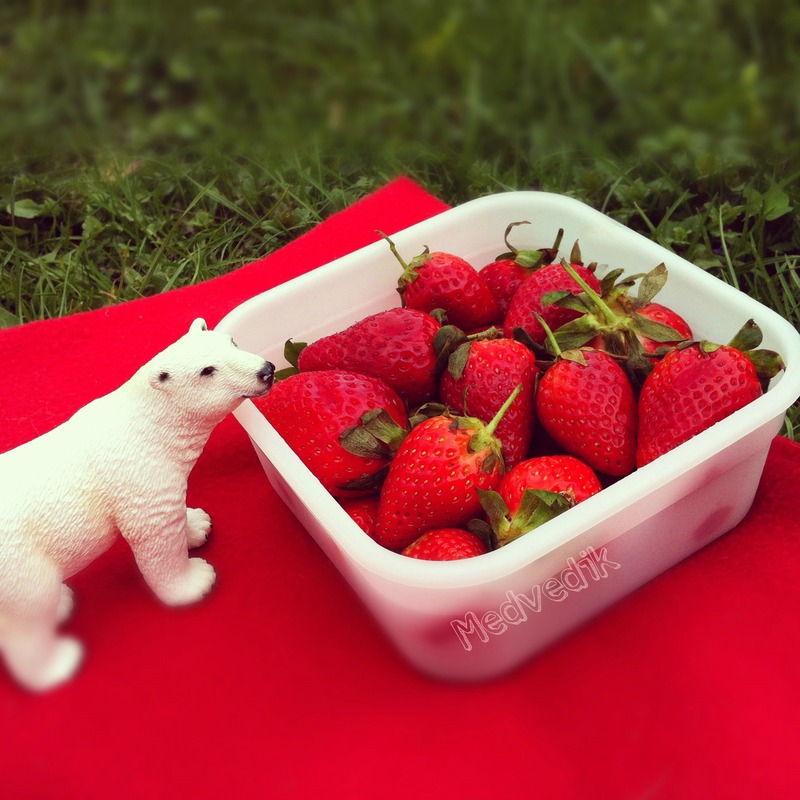 After finishing his bowl of strawberries, he understood that he was still very hungry. I guess that’s the trick of the diet, he thought, you have to be hungry all the time. Just like those times when you wake up after long winter and go to the shore to catch some fish. Medvedik lied on the grass for a while, looking to the clear blue sky, and decided that it was enough exercises for him that day. He decided to try gym someday, but for now he needed some rest and a plate of fresh Norwegian salmon. This entry was posted in New Exbearience and tagged bicycle, diet, dubai, fat, health, healthy-living, hungry, medvedik, nature, outdoors, polar bear, salmon, strawberries. Bookmark the permalink.